Despite only being released in 2015, the lavish 21 Casino has quickly worked its way up to the top. With a smooth touch and luxury feel, 21 Casino seems to belong to a newer generation of online casinos, trying to break from the ‘oldies’. While this is very refreshing and appealing, it’s actually the extensive games lobby and rewarding bonuses that really make this casino stand out. 21 Casino has partnered with 30 game providers, meaning players can enjoy timeless classics, such as Gonzo’s Quest and Starburst, or discover new and exciting titles, such as Candy Spins and Magic Mirror. You will find games from nearly all major providers, including NetEnt, Microgaming and NYX Gaming, alongside smaller providers, such as 1x2 Gaming and Magic Dreams. The games are presented on a fast, high-quality website that is super easy to navigate. The offering can be enjoyed on both desktop and mobile, however, the mobile offering is slightly limited. 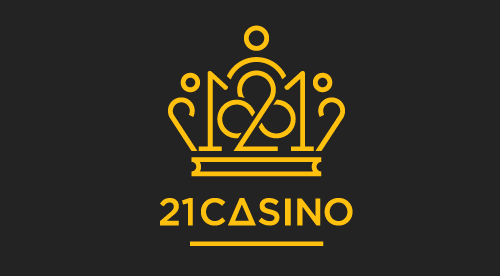 A limited version of 21 Casino can be enjoyed on smartphones and tablets thanks to their fully-functioning mobile site. While the mobile offering isn’t as extensive as the desktop offering, it’s still rather impressive. The lobby is filled with hundreds of slot games, a handful of table games, video poker games and live casino games, so there is lots to discover on the go as well! The games are divided into sub categories, such as Popular, New, Live, Slots and Table, to facilitate your search. It’s also possible to filter the games based on who created them, which is handy if you’re a fan of a certain software provider. There is also a search bar for players who know exactly what they’re looking for. The 21 Casino site boasts a sleek yet simple design. The site is super easy to navigate, only linking to what is actually relevant. For example, on the top of the page, you will find quick links to casino games, table games and promotions. Below the top navigator you will see a banner, advertising player benefits, such as deposit bonuses and the 21 Casino loyalty programme. The middle of the page includes the games lobby. The games are categorised following the same structure as the mobile site, including some extra sorting options based on game type or RTP. In the footer of the site you will find quick links to all the practical information, such as the cashier, support and terms and conditions. The games selection alone is what should lure players to 21 Casino. With titles from 30 different game providers, you are sure to find your favourite at 21 Casino, whatever your style or interests might be. There are a couple hundred slot machines on offer, including 25+ progressive jackpot slots, video slots and a handful of classic slots. From a casino that’s called 21 Casino, you’d expect a large blackjack offering, too. Perhaps it’s a coincidence, but at the time of writing there were 21 blackjack titles on offer, including high and low stake games and live versions. Apart from blackjack, 21 Casino also offers multiple versions of roulette, baccarat and casino poker. Lastly, 21 Casino added a bunch of other games to its games lobby for players who need a break from casino gaming, including a handful of bingo games, multiple scratch cards and virtual betting possibilities. Bonuses and promotions are something that 21 Casino has done well from the start. New players are greeted with a very generous welcome bonus that definitely sets the tone for what’s to come: returning players can benefit from a promotion almost every day of the week! Start the week off right with a 21% first deposit bonus up to £210 on Mondays and Tuesdays or celebrate the weekend with up to 50 bonus spins every Friday to Sunday. And that’s not all… 21 Casino’s Loyal Royalty programme automatically lets players collect loyalty points for every stake made. 1000 loyalty points are worth £5.00 in bonus money. The amount of loyalty points you get for every £10 wagered depends on the type of game you’re playing. Slots for example are worth 2 points, while roulette is only worth 0.25 points. 21 Casino prides itself on providing first class customer service and support. The friendly support team is accessible around the clock through live chat or email. Unfortunately, there is no page with Frequently Asked Questions to answer your questions without having to contact the support team. As for payment methods, 21 Casino accepts a wide range of payment providers. Players can deposit or withdrawal using traditional methods such as bank wire transfers and credit/debit cards like VISA, Mastercard and Maestro. eWallets like Neteller and Skrill are also accepted, along with other popular methods, such as paysafecard and Boku. If you’re someone that doesn’t like to stick to a certain type of casino games, then 21 Casino is the perfect online casino for you. It offers plenty of choice, whether you’re into slots, table games or scratch cards. On top of that, you will be pampered with attractive bonuses almost every day of the week!